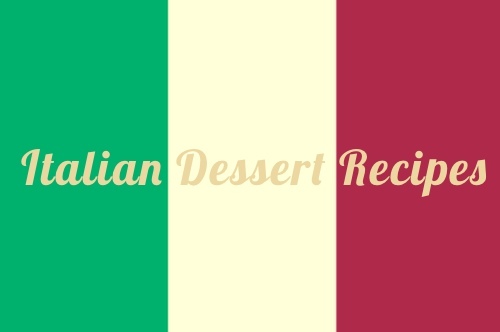 The authentic Italian dessert recipes in this collection help us to appreciate the wonderful history of Italy's confectionery. 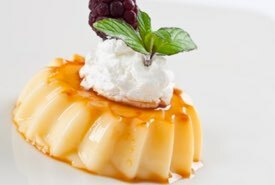 Some recipes have been passed down from classical times having originated with the Romans. 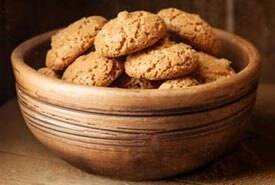 Delicious Old World cookies, biscotti, amaretti, cream cakes, pastries, puddings, and zabaglione — it's all here for you to enjoy making! 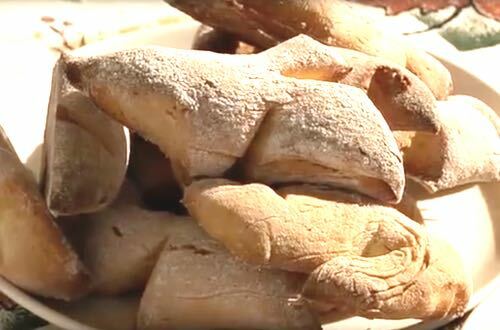 Be sure to watch the short video below as 93-year-old Clara Cannuccdiari makes her traditional Italian sugar cookies for breakfast while sharing memories of her life during the Great Depression in the 1930s. Beat eggs and sugar together, add flour and salt, and mix until it forms cookie dough. Shape cookies on ungreased cookie sheet and bake at 350°F until a golden color. 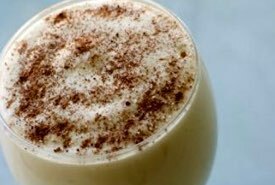 Allow to cool before serving with coffee. Remember, Clara said they are great for dunking! 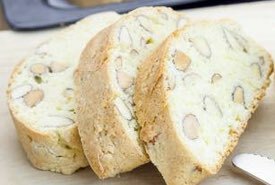 Have you ever dreamed of sampling homemade biscotti at a small table in the garden of some wayside inn hidden in the Apennines, with the sound of a mountain torrent far below caressing your ears? 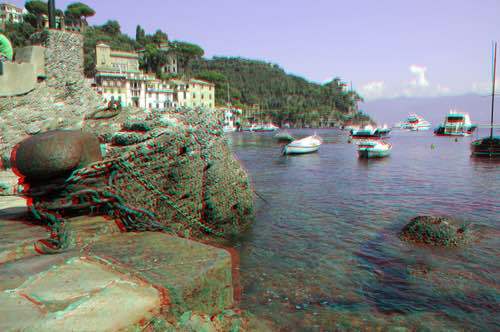 Or imagine tasting traditional zabaglione in the portico of a quiet cafe on the sun-baked piazza of an ancient town clinging to a rocky hillside, overlooking the bay of Portofino as seen above in the 3D photo. Well, now you can. 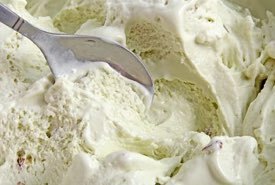 The proven, old fashioned Italian desserts found on this page and on the linked pages below can offer you the next best thing to being there — the authentic taste of Old Italy. 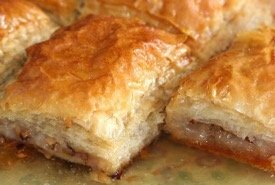 When you first read the old recipes, some may seem elaborate, but in using them you'll find they are easy to prepare as you simply follow the steps, and the results are well worth the extra time spent. 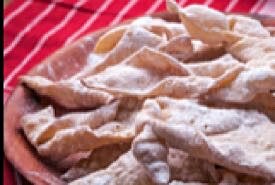 Words simply cannot describe the delicious homemade taste you are about to experience thanks to the authentic Italian recipes that follow. As your Italian Grandma would say, Questi dessert Italiani sono squisiti.